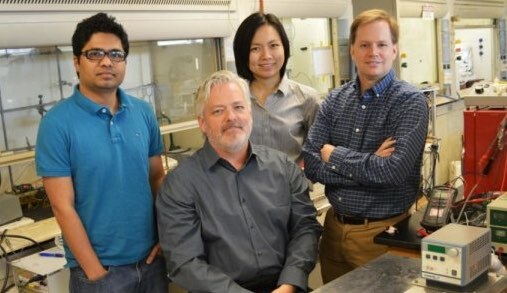 University of Texas at Arlington chemists and engineers have converted carbon dioxide and water directly into useable liquid hydrocarbon fuels – in one step. The “simple and inexpensive new sustainable fuels technology” used concentrated sunlight, high pressure and heat to remove CO2 from the air and even revert oxygen back into the system. Researchers demonstrated that a one-step conversion of carbon dioxide and water into liquid hydrocarbons and oxygen can be performed in a photothermochemical flow reactor operating at 180 to 200 degrees C and pressures up to six atmospheres. Looking at the limitations of the current experiment – the use of titanium dioxide as a catalyst, MacDonnell noted its limitation in not being able to absorb the entire visible light spectrum. Further improvements would include the use of parabolic mirrors to concentrate sunlight on the catalyst bed, “providing both heat and photo-excitation for the reaction. Excess heat could even be used to drive related operations for a solar fuels facility, including product separations and water purification.” These enhancements and the possible side benefits make this an interesting path of study. MacDonnell and Dennis have received more than $2.6 million in grants and corporate funding for sustainable energy projects over the last four years, including conversion of natural gas into high-grade diesel and jet fuel. 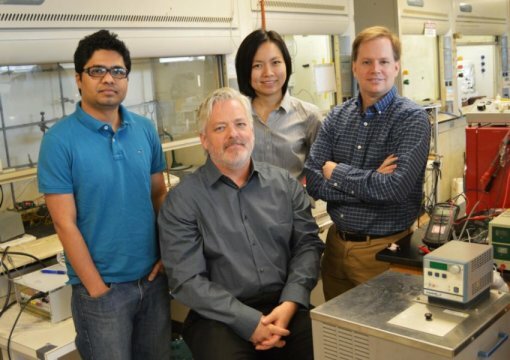 They developed that process in collaboration with an industrial partner in UTA’s Center for Renewable Energy and Science Technology, or CREST, lab, and are now working to commercialize the process.